This Stage Limited is a theatre production company based in London, England. Its directors are Sue Knox and Brooke Pierce. The company's first project was The Freshman Experiment, a project with Kerrigan and Lowdermilk that combined blogging with musical theatre creation. In March 2010, This Stage Limited introduced Show Off!, a musical theatre piano bar night inspired by the piano bars of New York City. Show Off!, which is now in its ninth year, takes place every second Friday night at Koha in Covent Garden. This Stage Limited was proud to present the London premiere of Paul Scott Goodman’s Bright Lights, Big City in November 2010. 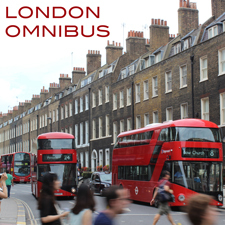 In September 2014, a new This Stage Limited production entitled London Omnibus had its premiere. London Omnibus was a programme of four newly-commissioned short plays inspired by bus journeys through London. This Stage Limited's latest production, Accidents and Emergencies, made its debut in November 2015. The company is currently developing additional projects.